The management of the Delta State University (DELSU) invites applications from suitably qualified candidates for admission into the university pre-degree programme for the 2018/2019 academic session. 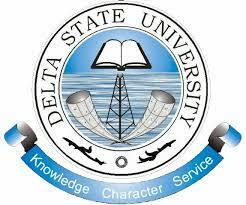 Courses Available: All degree programmes offered in the Delta State University except Medicine and Law. Candidates should possess five credits in relevant subjects including English Language and Mathematics, in the Senior Secondary School Certificate Examination or its equivalent at not more than two sittings. Candidates for Pharmacy and Nursing Science degree programmes must have the five credits at one sitting. Specific Departmental admission requirements are as indicated in the UTME brochure for Delta State University, Abraka. Candidates are required to register with JAMB and write the 2018 UTME and should score a minimum of DELSU JAMB cut-off point of 180 with DELSU as first Choice. Candidates should ensure that the course (programme) they register in JAMB is the same with the course (programme) they intend to pursue in the DELSU Pre-degree Programme. How to Apply for DELSU Pre-Degree Admission. Applications are to be filled online at the rate of Twenty thousand (N20,000:00) Naira only through the use of the Delta State University virtual Pin generated at http://www.delsuonline.com and payment made at any of the following University approved banks (Unity Bank, Ecobank, UBA & Zenith Bank). Entrance Examination: Admission of candidates into the various courses shall be based on a Computer-Based Aptitude Test, which shall be held at the Delta State University Examination Centre, Site III, Abraka on Saturday, January 19, 2019. Items Required for Writing the Entrance Examination: Candidates are expected to come along with their Printed Photo Card, without which they would not be allowed into the examination venue. Starting date – Tuesday, October 2, 2018. Closing date-Monday – December 31, 2018. Entrance Examination – Saturday, January 19, 2019.